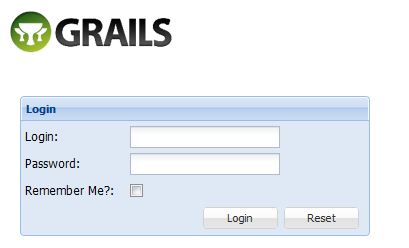 Previously in Spring MVC and ExtJS Forms I created a simple data entry form and there was no data validation implemented. Typically data validation occurs throughout application layers, from presentation to persistence layer. Here I will be using JSR-303 Bean Validation, where the data validation is defined in the domain model and can be used thoughout application layers. I will walk through how to integrate data validation into Spring MVC and will be using Hibernate Validator 4.x – which is the reference implementation for JSR-303 – to integrate into my previous example. with the ability to override and extend the meta-data through the use of XML validation descriptors. The data validation is achieved by defining constraints in the beans. Constraints are defined by a combination of constraint annotation and a list of constraint validation implementations. The constraint annotation can be applied at field-level, property-level (getter), class-level. Currently there are 22 built-in constraints for example @NotNull to check that the annotated value is not null or @Size(min=, max=) to check whether the annotated value lies between the specified range. You can also create your own custom constraint to meet your specific requirement. The concept here is similar to database constraints where the constraint can be applied to table column. In the example, the form is submitted to HomeController and the form is mapped to PersonalContact bean. I added 3 built-in constraints into the PersonalContact bean, @NotBlank, @Patter (using regular expression) and @Email. When message is not define in the constraint annotation, the validator will assign a default value. The second part of the code below shows the validation process. The HomeController is autowired to the Validator bean and the validation() is executed inside the add(). //structure the response for ExtJS Form. Since I used ExtJS forms, I must return JSON response in a specific format and the errors are mapped to the field and displayed as quicktips. List of built-in constraints is available in the Hibernate Validator documentation. 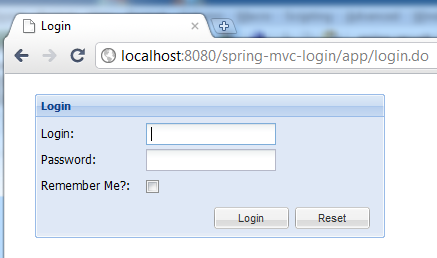 In my previous post Beginning Spring MVC 3, I shared a simple tutorial to start developing Spring MVC 3. It covered the tools required and the steps to setup the project. This tutorial will take a step further and walk through how to work with forms – Ext JS form to be specific – for loading of data and submission of data for processing. I will be assuming that you have the tools and project setup. Step 1. The model. Here I assumed a single bean will represent the form and data model (for data access/persistence). The attributes in the bean are mapped to the form fields. //regenerate the getter & setter using STS. Step 2. The controller. Using the default “HomeController”, I added 2 methods to handle the load and add request. 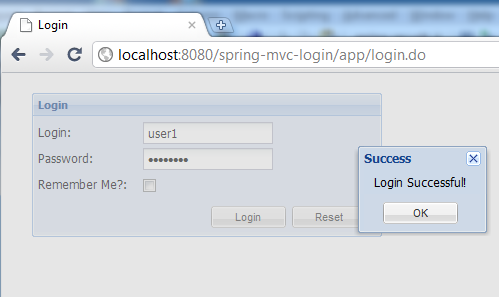 Both methods have simple implementation to illustrate the interaction between the form and Spring MVC. There is no data access/persistence code implemented here. //for the purpose of this tutorial, load 1 record. option to show InfoWindow at the center & other markers. option to draw circle overlay at the center marker. The full source code and example is available at myGit. I did not include Ext JS 3.3.1 into the repository.